Come and join Matt L-S and Jamesey playing in the Housefm.net room at the famous Ministry of Sound on Saturday 10th February!! After an amazing 2017, Groove Odyssey returns to the Ministry of sound with the first of four parties for 2018. The series kicks off on Saturday the 10th of February with a pre Valentine and album launch party. 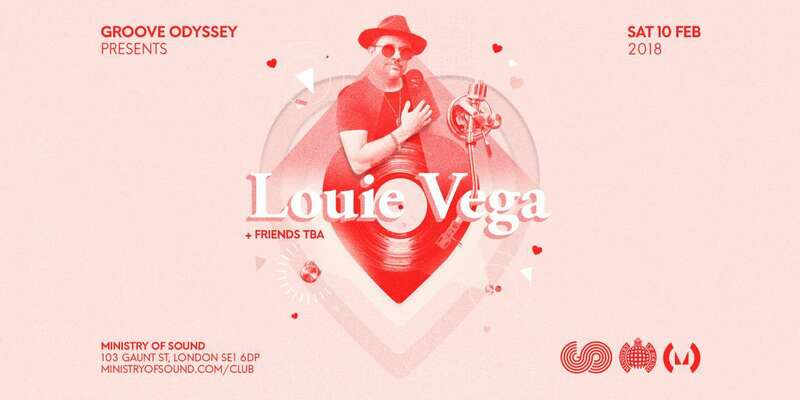 Headlining this event will be Grammy award winning and true Master at Work, Louie Vega, with his endless supply of exclusives, mixed with House classics – with full support from House legends Bobby & Steve, Jazzie B, Natasha Watts (live PA), Mike Risk, Martin Lodge, Peppe Citarella, Dj Bigger, Sol Brown, Davide Fiorese, Funkie P plus many more over four rooms of music. We will also be celebrating the release of Paris Cessvette’s hot new album “Celestial”, released on the 12th February on Groove Odyssey Records.